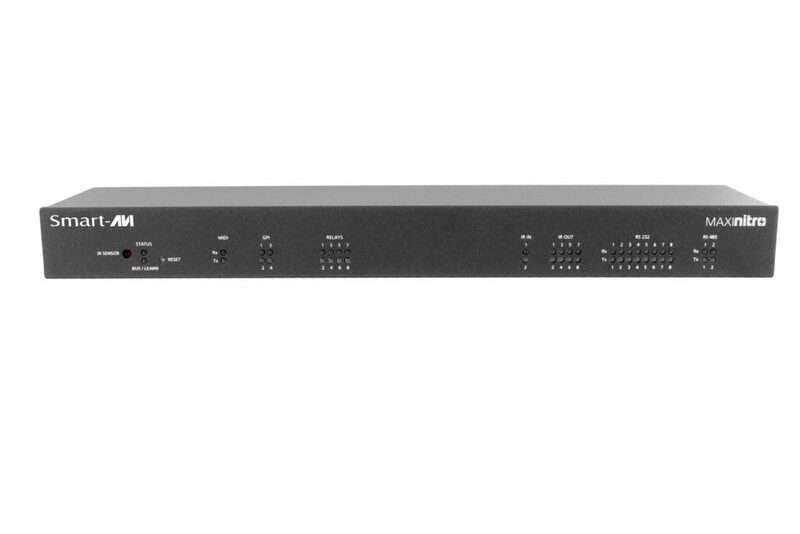 35-port modular controller hub for infrared, RS-232, GPI, VCA audio, and relay signals! 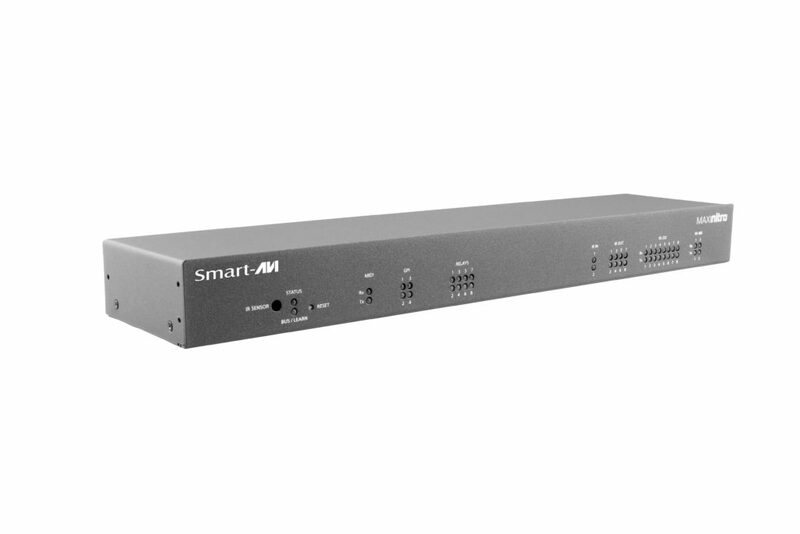 The Maxinitro® is a 35-slot, single-board modular controller switch built for automated environmental control. Featuring IPControl's new Nitro ARM9 processing technology, the Maxinitro offers top-grade power distribution, data-processing, and device command capabilities. What are the Applications for MaxiNitro? The Maxinitro excels at centralizing control of various types of devices with its robust set of signal connectors. Users can connect the electronics throughout any indoor environment to the Maxinitro via infrared, relay, RS-232, VCA audio, and more. Once connected, the Maxinitro can be accessed from anywhere in the world over the Internet; using IP-based communication, users can adjust lighting, temperature, audio volume, power distribution, and more with the Maxinitro.